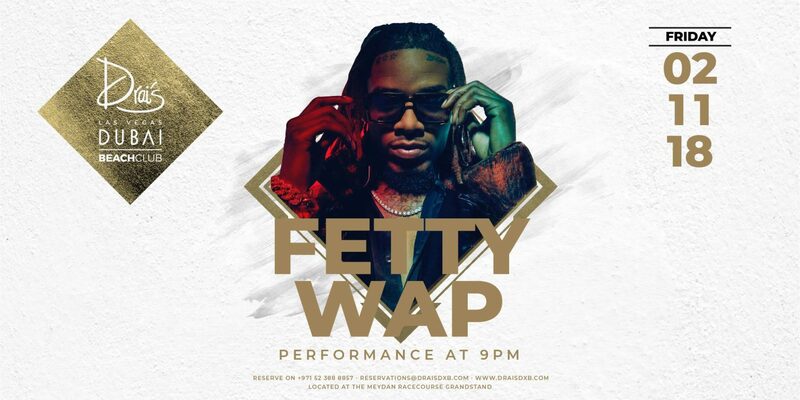 Fetty Wap will perform live at Drai’s DXB on Friday, November 2. GRAMMYs-nominated American singer and songwriter Fetty Wap is respected in the world of music. His first hit Trap Queen, combining rapping and singing, was created in 2015. And when the video with that song has gained over 2,5 million views on YouTube, Fetty Wap was signed with 300 Entertainment. Music support provided by DJ Hains and DJ Volatile. Doors open from 11 AM till late. First 100 ladies – complimentary entry and sunbed.